It’s been a little while since our last product update but that doesn’t mean we’ve slowed down. In the last two months, we’ve added several exciting new features and improved many existing ones. We continue to make the product easier to use, more customizable, and better integrated so that you can more effectively automate your referral marketing programs. Businesses are getting more complex as the demand for your client’s attention increases. As a result, businesses are adding easier call-to-actions to engage their customers before asking for the sale. This multiple stage process helps you identify and engage your customers earlier on in your sales process but makes referral tracking more difficult. Event Scripts – Scripts that are event specific. Like conversion tracking and referral updates. 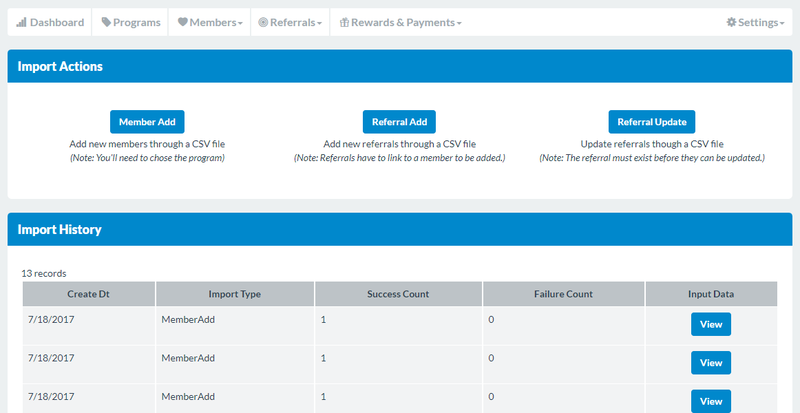 Not only do the new integration scripts make it easier to manage and automate your referral process but they lay the groundwork for some exciting future improvements to increase member and referral engagement. You can access your integration scripts here. All of this information is then logged in your Event Log for testing and tracking purposes. This is all done by uploading a CSV file and is great for any business that uses difficult to integrate systems such as Point of Sales, Industry Specific Software, Disconnected Software, or Older Systems. Regardless of where your customer lists lives, you can now import it directly into Referral Rock. Just upload your file and we’ll handle the rest. Manage new leads and customers offline? No problem. Upload a list of any new customers and we can either add or cross-reference them against any existing referrals you have. See our knowledge base article for more information on importing members and referrals. Integration is key for us and we want to make this as easy as possible, regardless of your sales process. Ever wondered if your emails get delivered? Now you can track all emails that get sent by Referral Rock. We’ll tell you if someone opens it, clicks on a link, unsubscribes, or files a spam complaint. Resend any undelivered emails from a completely different server! We take spam and email deliverability seriously but if your emails are undelivered for any reason, we can let you resend them from a new server! You can track and manage your emails here. In addition to some new features, we’ve improved some existing ones. 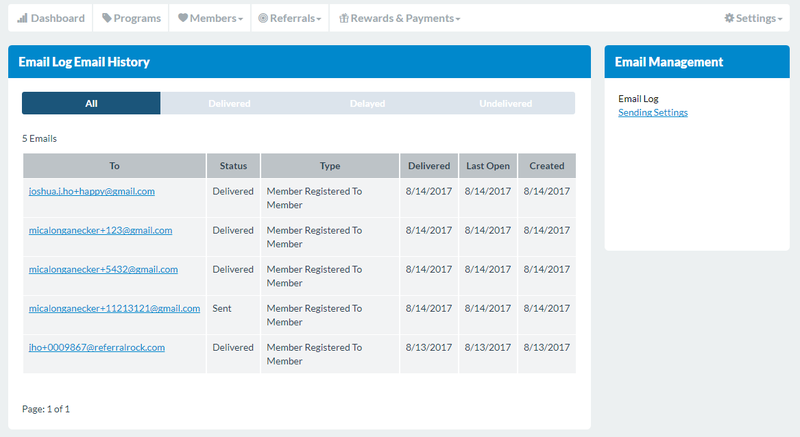 Referral Form Redirect – the referral form can now redirect your new referrals to your website or anywhere else after they’ve completed the form. This is a great way to continue developing their experience with your business and brand. Dashboard Graphs and Reporting – updates to the dashboard graphs to better filter data and see trends over time. Read our last product update.